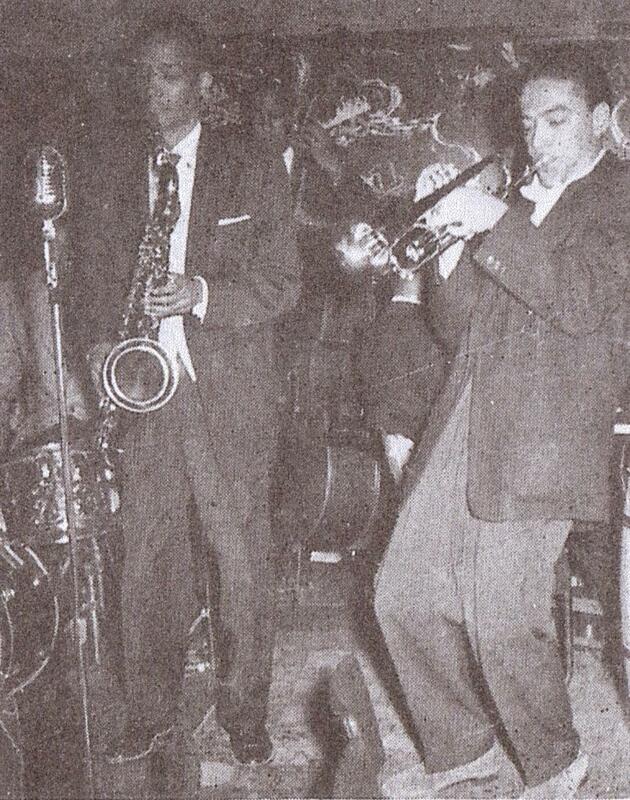 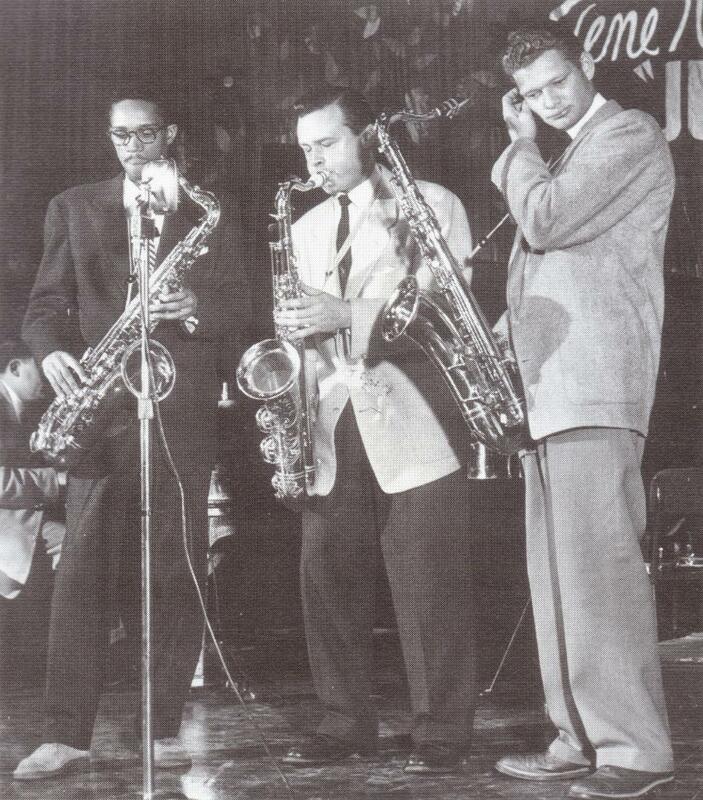 Wardell Gray, Zoot Sims and Stan Getz perform at a Gene Norman “Just Jazz” concert, early February 1954. 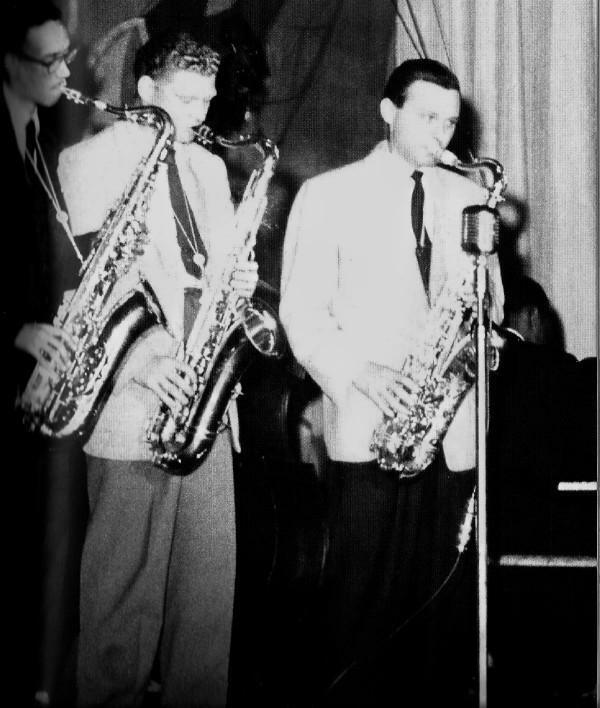 Wardell Gray, Zoot Sims and Stan Getz in concert at Pasadena Civic Auditorium, early February 1954. 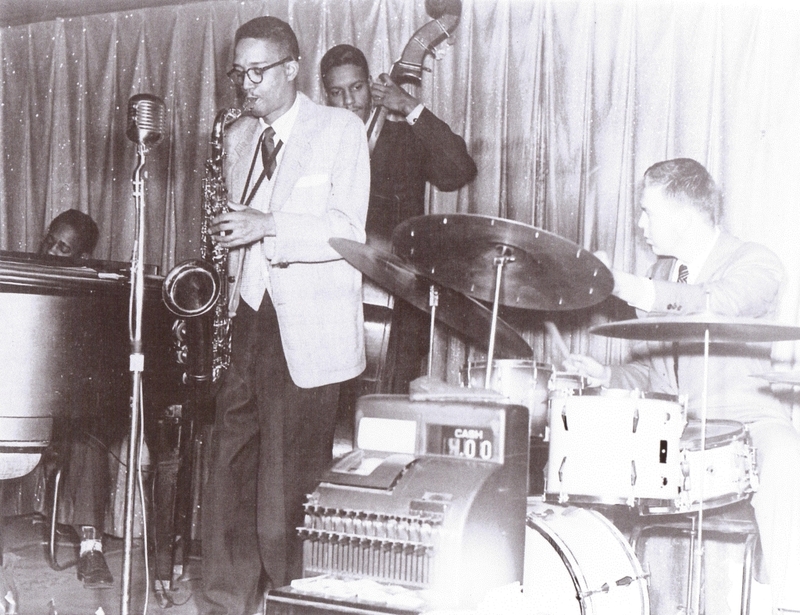 From left: Norman Simmons (p); Wardell Gray (ts); Victor Sproles (b) Bert Dahlander (d). 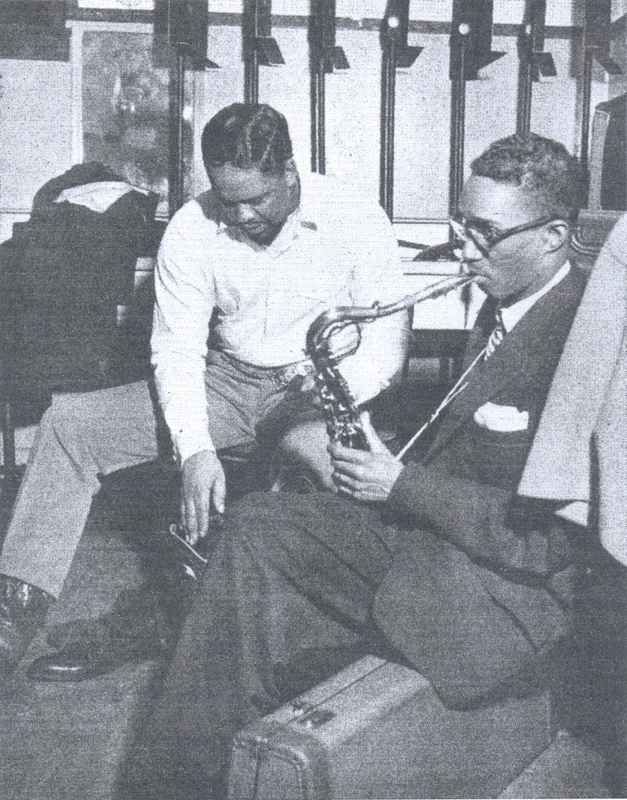 Al McKibbon and Wardell Gray backstage at the Gene Norman concert at Benson High School Auditorium, Portland, Oregon, February 11, 1954. 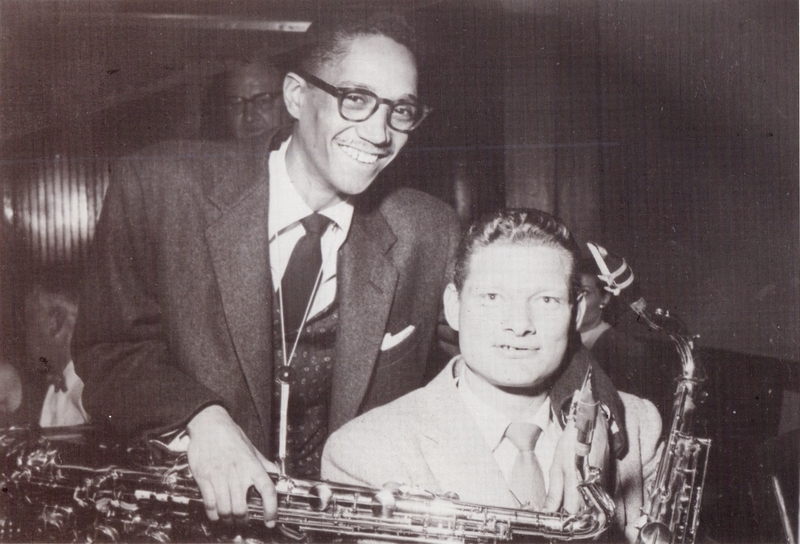 Wardell Gray, probably at the Gene Norman concert at Benson High School Auditorium, Portland, Oregon, February 1954.
night in Hollywood at Jazz City. 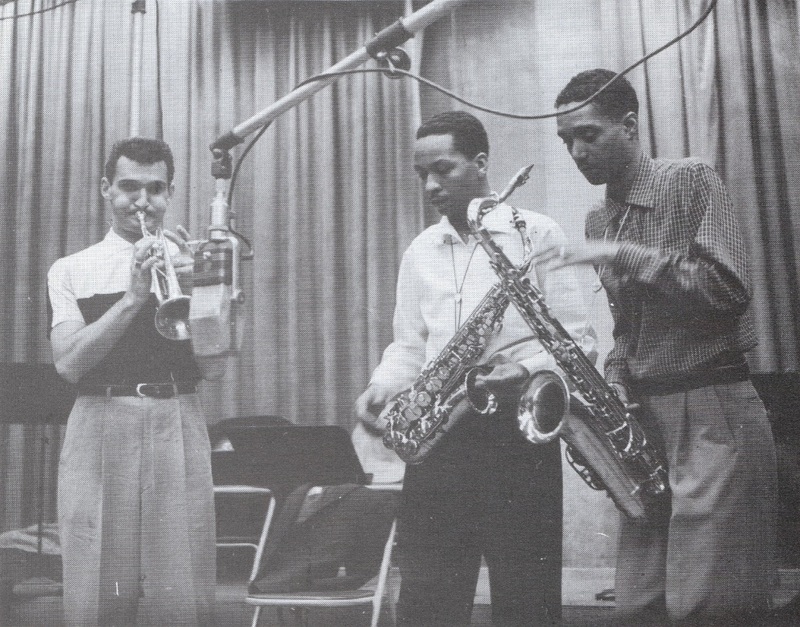 With him are Larry Marable (dr), Leroy Vinegar (b), and Jack Millman (flh).